Experience the uplifting story that shares the power of forgiveness when I Can Only Imagine arrives on digital June 5th and on Blu-ray Combo Pack, DVD, and On Demand June 12th from Lionsgate. Directed by the Erwin Brothers (October Baby, Moms’ Night Out) and written for the screen by Jon Erwin and Brent McCorkle, the film tells the incredible true story behind Christian band MercyMe’s iconic, history-making song “I Can Only Imagine.” Starring in the film are up-and-coming Broadway star J. Michael Finley (West End Production’s The Book of Mormon) and Golden Globe nominee Dennis Quaid (2011, Best Actor – Limited Series or Television Motion Picture, The Special Relationship; 2003, Best Supporting Actor – Motion Picture, Far From Heaven), as well as Trace Adkins (The Lincoln Lawyer, Traded), Priscilla C. Shirer (War Room), Cloris Leachman (The Last Picture Show, Spanglish), and Madeline Carroll (Flipped). 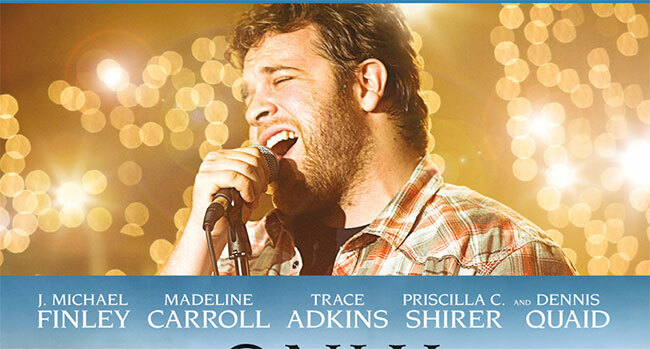 The home entertainment release of I Can Only Imagine features over three hours of extras including seven deleted scenes, seven in-depth featurettes, an audio commentary, and more. Just in time for Father’s Day, the film truly uplifting film is great for the entire family.